May 2012 – CREATE. PLAY. TRANSFORM. Clay Ave Goes to Tiaong, Quezon! 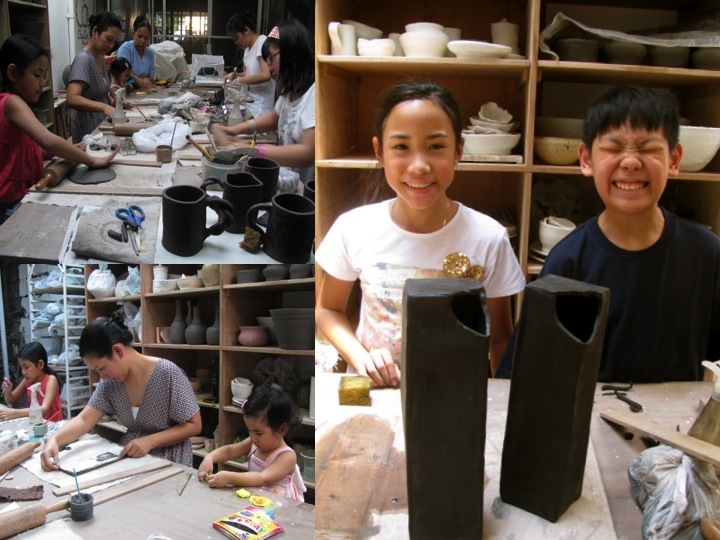 Every summer, I make sure that I bring my students to a pottery field trip Philippines. 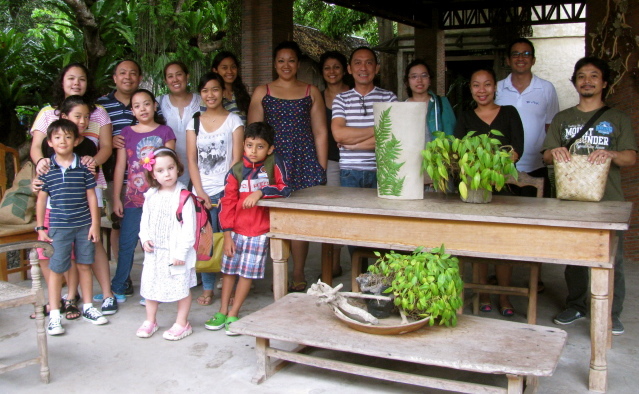 This year, we went to Ugu Bigyan’s pottery haven in Tiaong, Quezon. As soon as we arrive in Ugu’s property, I asked the students to roam around for an hour. There’s so much to see in an hour! I asked them to pay attention to all the works that are made from clay, to give them ideas on what to create with their hands. We walked, took photos, and asked questions to Ugu’s workers. We were all amazed to see the beauty of bringing life to a lump of clay. Our eyes feasted on the very simple forms (slab plates, wind chimes), to the most intricate ones such as floor and wall tiles, etc. After we toured Ugu’s home, two wheels were set up for two pottery demos. (1) Ugu Bigyan and (2) Raffy. Ugu showed us how to make pieces off the hump of clay. All the cameras were out as soon as he touched his clay. Raffy showed us how to trim the big bowls he just made in the morning. “Oooohs and Aaaaahs” plus the clapping of hands can be heard as the two Potters show us their great skill in pottery. 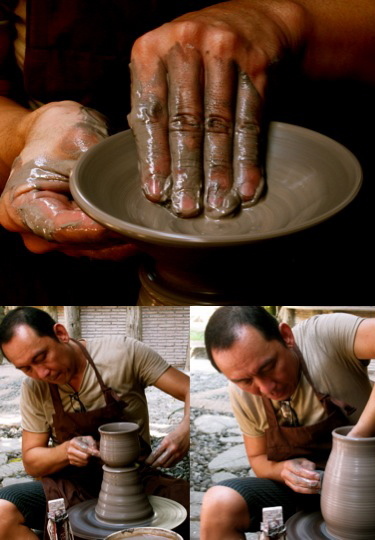 A pottery demonstration is a must-see when you visit this famous potter in The Philippines. Mr. Bigyan has been a Potter for over two decades now. He continues to make pots today, but not a lot of people know, that he is also a landscape designer. Being a city girl, I am more exposed to modern home design. But going on a trip to Ugu’s home in Quezon is always a treat. I look forward to going to his home. It feels like it’s always a first time for me! For pottery enthusiasts around the globe, this pottery haven in Quezon is definitely world-class! Ugu, Thank You for always welcoming me to your home. Your pottery haven will always be on top of my favorite places to see. Thank You for the same warmth that you have shared to my students. They are all so happy, seeing your beautiful creation. Everyone had a blast during lunch too! To students who joined the trip this summer, Thanks to you too! 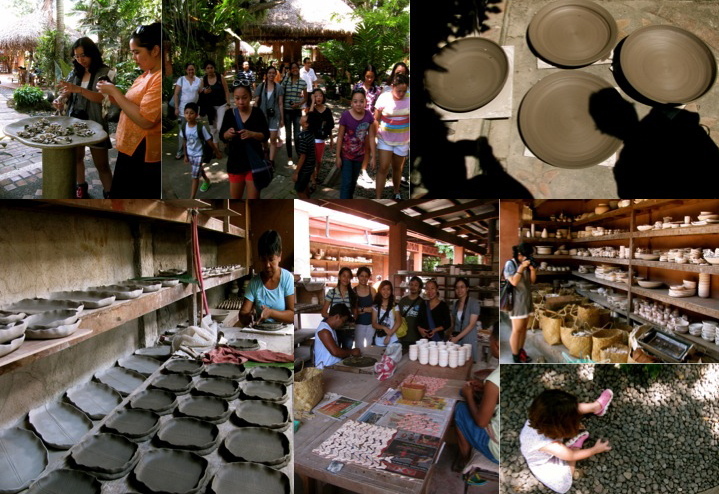 Keep looking forward to more pottery field trips in The Philippines! Summer Pottery Fun @ Clay Ave! 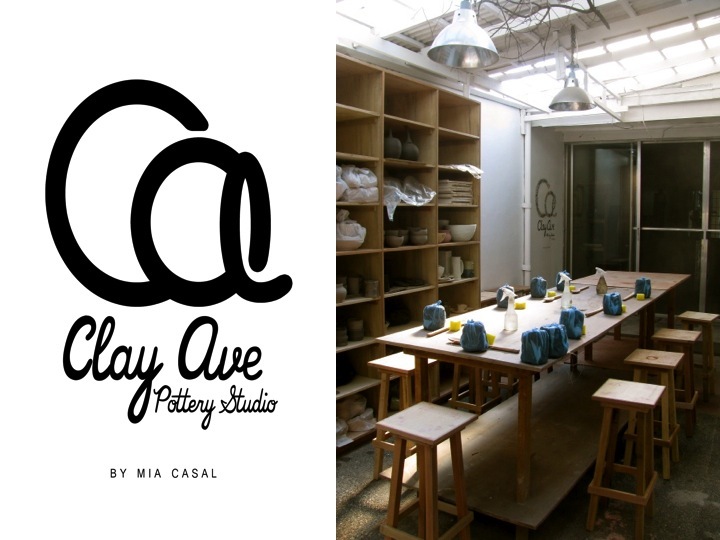 Clay Ave Pottery Studio in Manila has been a destination this summer for all ages. Kids, teens, and adults, make sure to get their hands dirty with clay. The pottery studio is looking better through time. Thanks to the two-week break right before summer! Students have come to pinch pots, create coils, roll slabs of clay, glaze, throw with the potter’s wheel, etc. Most of them don’t have any previous background with molding or forming clay between their hands. 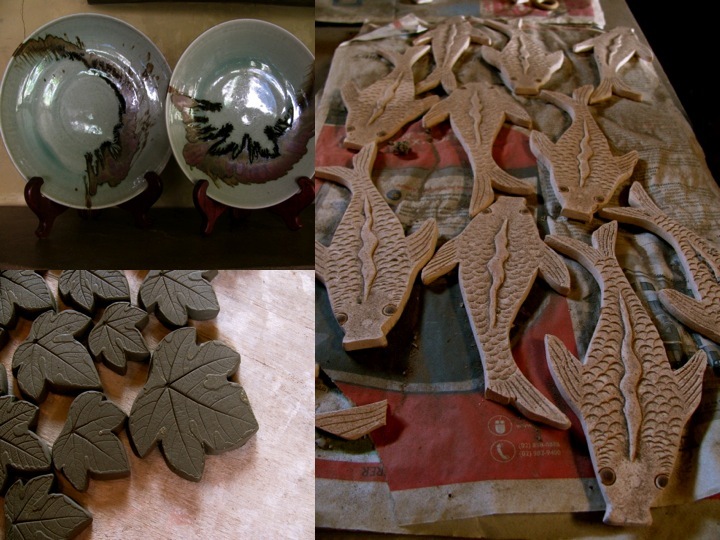 One doesn’t have to be an expert, to enjoy the endless benefits of making pottery. One of the students, Rica, comes to Clay Ave with her daughter. After a few sessions, she brought her other two year old daughter to play with clay. Neon-colored clay at Clay Ave is always, always welcome : ) It was cute seeing a small pair of hands working with clay! One day, my students, brought their iPads to Clay Ave. I gave them a little challenge and asked them to form pots using their gadget. After being so focused on working on their pots digitally, I asked them to create the exact form with real clay! Put those electronic gadgets aside and get your hands dirty with real clay, people! Sophia loves making pots using the Hand Building techniques. But as soon as she starts working with the potter’s wheel, she keeps coming back for more sessions! I can’t help but admire her very cool nails covered with mud! Most of the students come on Saturdays to relax with the potter’s wheel. They work hard during the week and make sure that they get all relaxed on weekends. Centering the clay can be one of two things: soothing and relaxing. Experience both right at Clay Ave! What are you waiting for? 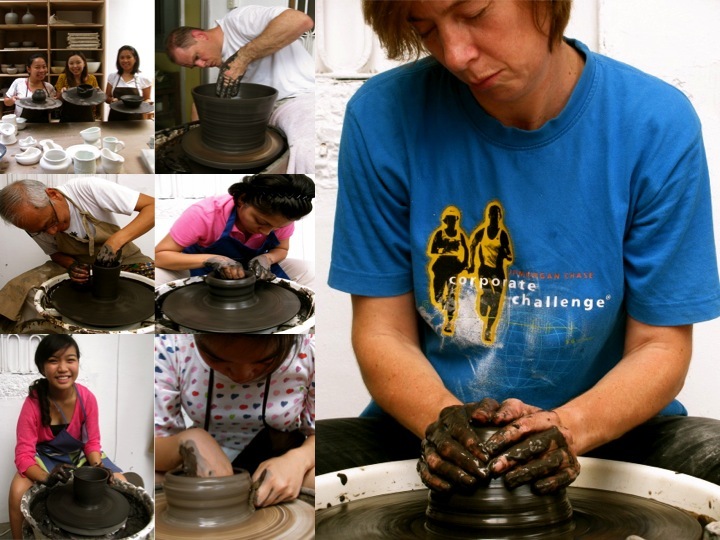 Enroll now and get those hands dirty with clay!